Hello reader, my name is Cindy and welcome to RiceLot.com, a website that is dedicated to writing the best rice cooker reviews to help you save more time from doing research and to make the right decision on choosing the right one. I know what it is like when trying to choose a rice cooker and you know nothing about them. I still remember my first rice maker when I moved out on my own. I really didn’t know which one to choose from. I just bought one randomly that fit into my budget. I believe it was a National brand that is made in Japan. It was a really simple rice maker without any features. All I had to do was put the number cups of rice and water I needed in the cooker and just press the start button and it would do the rest for me. Of course I prefer to wash the rice first before doing that. According to some of the rice brands you don’t have to wash the rice, but I prefer to do it. And besides, it is a good idea to check to see there are no other non eatable items in it, such as rocks or dirt. I have eaten rice my entire life. I can’t go without it. If I didn’t eat it for one day, I feel like I haven’t eaten dinner. Remember there is a cereal brand’s slogan that says “I got to have my pops”? Well I say “I got to have my rice!” LOL…..
You Might Ask Why Should I Buy A Rice Maker? The answer to that is very simple if you eat rice every day like me. It will make your life so much easier if you have one. 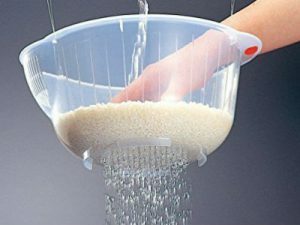 It will save you a lot of time and wasted rice in the trash from burning if you are cooking it on a stove top. It is so much simpler to cook it with a rice cooker. The inner pot from the rice maker will tell you the correct amount of uncooked rice and water to put in with the imprinted lines. The rice will come out perfect every time without burning and worrying when to turn it off. When it is done it will automatically switch it to keep warm. 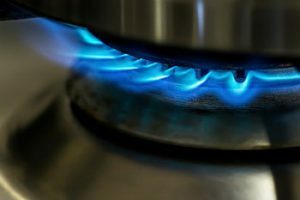 If you are cooking it on a stove top, you have to check it a few times to make sure it is not burning, and you have to turn the heat down, and also you need to know the correct amount of water and the number of cups of rice to put in the pot without helping lines. If you forgot that you are cooking the rice, then it will get burnt. To me it is a very complicated process to make it on the stove with a pan. To be honest, I have made it on the stove a few times and I didn’t like it. The result just doesn’t turn out the way I like in a rice maker. Sometimes, it will just either come out burnt or under cooked, and not to mention it sticks so much to the pot. It is very hard to wash it off while it is sticking very badly to my stainless steel cooking pan. That will take away more of my time to remake it again. My family is not very happy having to wait for a longer time for dinner to be ready. 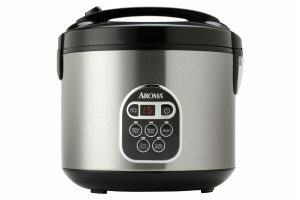 Which Is The Best Rice Cooker To Buy And Where? Finally, you have decided to buy a rice maker, but now you may ask which is the best rice cooker to buy online or locally? Well, that is really depending on what your needs and requirements are to make that decision. Some of you might decide to go with brands, features, ratings, prices or others. As for me I usually go with features and ratings. Check out the Five Top Rated Rice Makers I Consider Buying by clicking its hyper link. Like I said before, my very first one I picked out due to the price because I was really on a very tight budget and I bought it at my local Asian market. I think it was around $50 to $60. My second rice maker I bought from Amazon. I believe it was around $126.00 with the brand name Panasonic. I think I might have had it more than 8 years and I am still using it. It comes with a lot of features and with a capacity of 10 cups uncooked rice. Most likely I will buy my next one from Amazon again if my current one is out. It seems like my current local stores might not have the one that I want and if they do it might cost more than Amazon. I have taken a look at the price at my Asian market stores and it costs more. If I am not buying it from amazon, my second place will be Walmart. Walmart usually has a competitive price with amazon. Both places are a very good place to buy kitchen appliances. Some of you might like to go with the name brands over other preferences. Sometimes a name brand product costs more than a no name product. I do know a lot of people who prefer name branded. As for me it really doesn’t matter, as long as I like it and it is durable with the features I want. That is perfectly fine with me, either named or no named brands. The well known brands for rice makers are Panasonic, Aroma, Zojirushi, Cuckoo and others. I think the Zojirushi brand is the most popular and has the best rating among users. Some of you might like to go with features. I usually go with the features and the ratings when picking a product. Even though it costs a little more it is okay. For example, you might want one that is designed to cook brown rice instead of white rice. A lot of the rice makers are designed to cook white rice but not brown rice. Some of them are built to be able to cook mixed, sushi rice, white and brown rice, porridge, cake, soup, steam and more. Yes, it will cost a little more than a simple basic one. You might be going with the ratings. It is obvious that you won’t want to go with a product that has very low ratings by the consumers. I won’t even consider it if an item has a rating lower than a 4 even if that item has the features I like a lot. I would rather buy an alternative. I just really don’t want to take the chance of returning an item for a refund. I usually pick a product that has an average of a 4, or higher would be the best. Of course I have to consider the features and price especially if it costs over $100.00. That is how I usually choose a product. What’s the highest price you are able to spend on this cooking gadget? 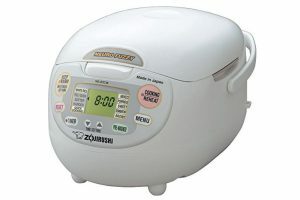 The price for a rice cooker is around $30 to $600.00. I think the most decent ones are around $100.00 to $200.00 and that’s the amount I am planning to spend. I would love to get the one that cost around $600.00 like the Cuckoo brand made in Korea, but it is out of my budget for the time being. Who knows, maybe later I can afford one. If you are just starting out on your own, the Aroma ARC-150SB might be a better option. It will fit into your budget with multiple built in functions. How many cup of rice do you need to cook every time? If you put 1 cup of uncooked rice in a cooker, it will yield you 2 cups of cooked rice. It depends on how many people you are cooking for and how much they will eat every time. If you have more people, you need to cook more and a bigger cooker. As an example for my family, I sometimes put 4 to 5 cups of uncooked rice in the pot for a family of four. All of us like eating rice every day and every time we fill a big plate. I might have to cook even more later because my two boys are growing up really fast. You can be able to buy from as small as 1.5 cups to as big as 30 cups uncooked capacity of rice cookers. The 30 cups cooker can make 60 cups of cooked rice. This kind of cooker is more for commercial use or for using for parties. There might be a bigger size than a 30 cups cooker that I don’t know about, but under my research for now it is 30 cups. I usually buy a bigger one in size, because I don’t know when I am going to have guests. If that is the case then I can be able to make a bigger batch of rice for the guests staying for dinner with us. At least I don’t have to make it more than one time. If you cook rice more than one time, then the first batch of rice will be cold and it won’t taste as good. So think ahead if you are going to have guests for dinner or not. Buying a bigger one will leave you room to cook for guests too in one go. Cooking white rice usually takes about 30 minutes to an hour and brown rice even longer. 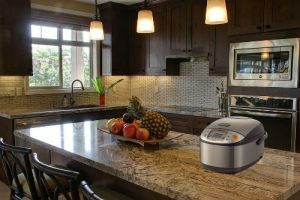 Do you need a rice maker that is easy to use and clean up? If that is the case you can just get one that only requires you to press one button down and it will cook the rice for you. Yeah, you do have to wash the rice to see if there is any dirt or small rocks in it. These kinds of rice markers usually have an automatic keep warm function when the rice is ready. You should wait another 5 to 10 minutes before serving the rice when it is done cooking. The rice seems to taste better that way. These simple kinds of rice makers have a lot of models out in the market and they are usually lower in price since they don’t have that many functions built into them. They usually are not that hard to use unless they have a lot of menu selections and functions. Most of them are coated with nonstick in the inner pot and it is very easy to clean up unless you buy one with a stainless steel inner pot, Then it might be a little hard to clean up when it burns or sticks. If you still don’t know which one to buy then may I suggest you to start checking out the following five top rated rice cookers that I found online? If I ever needed a brand new one, I would go with the one from the list below. I like number 1 and 2 a lot. I might need a new one soon since my current one is pretty old. The below ones have a very high average rating and seem pretty popular among the consumers to me when I was doing the research. This one will be my number one choice to buy for a non stick. It looks very similar to my current one, such as the features, colors, and design. You can select between the 5 and 1/2 cups of rice or the 10 cups of rice capacities. The image showing on the left is the 10 cups and the model number is NS-ZCC18. I would most likely go with the 10 cups in size since I have the 10 cups one, and besides my kids are still growing. The only down side of this cooker is it costs a lot more than I paid for my previous one. It does have more built in features. Well, I may not have a choice. If you like, you can read the Zojirushi NS-ZCC10 review by clicking the hyperlink. 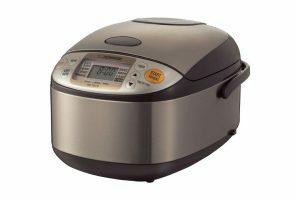 This one is my second choice and it is a stainless steel rice cooker in brown color on its exterior or body. This style does come with the choice of 5 and 1/2 cups and 10 cups in sizes. This cooker has the following menu settings: mixed, white/sushi, cake, porridge, sweet, steam, brown, and quick cooking. This one costs a little less than the above one while writing this post. I don’t know if this will affect your decision. This brown one is made in China and the above white one is made in Japan. Maybe that’s why the white one costs a little more. It really doesn’t matter where it is made to me. I just happen to like the white one more, but I don’t like having to pay more in the price though. LOL………. To read my full review about the Zojirushi NS-TSC10, you may do so by clicking here. You can use this cooker to make white and brown rice. You can use it as a slow cooker and to steam your food, like vegetables. Of course, it has a keep warm function to keep your food warm when it is done. This cooker can cook up to 10 cups of rice and that yields about 20 cups cooked rice. 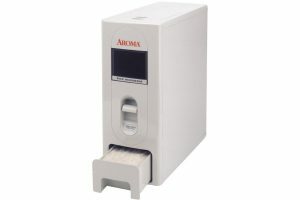 Click this hyper link to read more about the Aroma ARC-150SB. 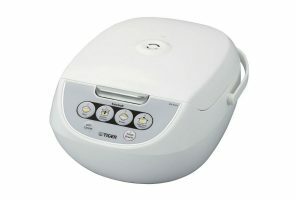 This one is a white color cooker from the company of Tiger Corporation. It has two available choices to select from and they are 5.5 cups to 10 cups. It looks pretty simple to use. These are the following things you can do with this cooker. It can cook plain white and brown rice. It can steam and can be a slow cooker. It has an Off and On button and also a keep warm button. This one has a special function called “Synchro-cooking”. Basically, when you are cooking your rice and steaming your dishes at the same time, it won’t affect the flavor and smash your rice like other rice makers do. Click here to read more about this Tiger Corporation JBV-A10U-W. I have to say, you can use this pot to cook many things. You can select between the sizes of 5, 6, and 8 in quart for this pot. This one is more of a pot than a rice maker and maybe that’s why it is called Instant Pot. It does have the function to cook rice, soup, meat/stew, bean/chili, chicken, slow cook, saute, pressure, multigrain, porridge, yogurt, steam and other functions. If you are planning to save more money from buying other appliances such as a slow cooker or pressure cooker then Instant Pot might be the best choice for you. It will save you more counter space room from having more cooking appliances. I have a slow cooker, rice cooker, pressure cooker, mini toaster oven, coffee maker and there is one more that I forgot what it is. All I know is I am out of counter space to put them all. This one is very popular among consumers and it has a very high average as well. 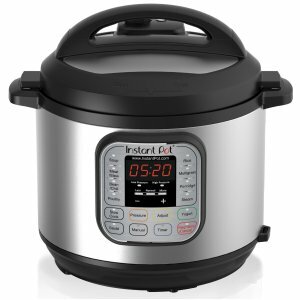 To read the full review about this Instant Pot IP-DUO60 click the image or here.